Vitamin E is amazing for your skin amongst many other things! Check out this great list of the top-10 foods containing this miracle vitamin. Vitamin E is a group of 8 fat-soluble vitamins which help prevent oxidative stress to the body, and other vitamins within the body. Adequate amounts of vitamin E can help protect against heart disease, cancer, and age related eye damage (macular degeneration). Conversely, too much vitamin E from supplements can lead to excessive bleeding, or hemorrhaging. Vitamin E foods, like the ones listed below, are considered to be safe and healthy. The current RDA for vitamin E is 20mg. Below is a list of foods high in vitamin E.
A great snack on the go, or a great garnish on salads and soups, sunflower seeds provide 36.6mg (222% RDA) of vitamin E in a 100g serving, or 36.5mg (310% RDA) per cup. It is nice to know you are able to add pepper to a dish whether mild (paprika) or spicy (red chili powder) and get the same amount of vitamin E, around 30mg (199% RDA) per 100g serving, or 2.1mg (14% RDA) in a single tablespoon. Almonds are best as a snack in raw whole form, but can also be found as almond butter and almond milk. Almonds provide 26.2mg (175% RDA) of vitamin E in a 100g serving, 37.5mg (250% RDA) per cup, and 0.3mg (2% RDA) of vitamin E in an almond. Known as a key component in pesto, pine nuts are also great on their own, or added to a fruit salad. They provide 9.3mg (62% RDA) of vitamin-E in a 100g serving, 12.6mg (84% RDA) per cup, and 0.2mg (1% RDA) in 10 nuts. Most common in butter form, peanuts also make a great dry roasted unsalted snack, chop up a few as a garnish to just about anything. A 100g serving will provide 6.9mg (46% RDA) of vitamin E. That is 10mg (67% RDA) per cup, and 2mg (13% RDA) per ounce. Basil and Oregano go a long way in pasta sauce and pizzas, but are also great sprinkled on top of salads and sandwiches. A 100g serving will provide 7.38mg (50% RDA) of vitamin E, which is 0.2mg (1% RDA) per teaspoon. Other dried herbs high in vitamin E include Sage, Thyme, Parsley, and Cumin. Most common as a snack, dried apricots can also be chopped and thrown into a fruit salad. A good source of fiber and many other vitamins, apricots also provide 4.3mg (29% RDA) of vitamin E per 100g serving, or 5.6mg (38% RDA) per cup, and 0.2mg (2% RDA) of vitamin E in half an apricot. Olives have no end to culinary use, great in pasta sauce, pizzas, salads, or alone with bread, they will provide 3.81mg (25% RDA) of vitamin E in a 100g serving, 1.1mg (7% RDA) per ounce (about 14 olives). Cooked spinach is great in stews, lasagnas, or as a side all by itself. 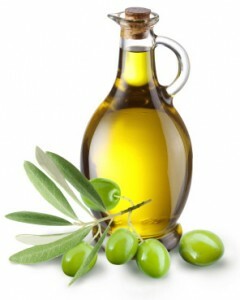 It will provide 3.5mg (24% RDA) of vitamin E in a 100g serving, 6.7mg (44% RDA) per cup. Inedible raw, taro is best baked, boiled, or incorporated into a bread. Worth trying as a substitute for potato, taro root gives 2.9mg (10% RDA) of vitamin E in a 100g serving, 3.9mg (26% RDA) in 1 cup sliced. It can be found in your local Asia market if not the grocery store.